People have left a real mess in many places on our planet. Seas, rivers and forests have been carelessly filled with rubbish. It is time to clean up the earth and turn the planet into a beautiful and livable place of love. Man has turned rivers and seas into a dump. 10 million tons of garbage are disposed of in the oceans every year. The result is a real danger to man and sea creatures of decomposing plastic parts. This has to stop! We have to remedy the damage we have made as humans. 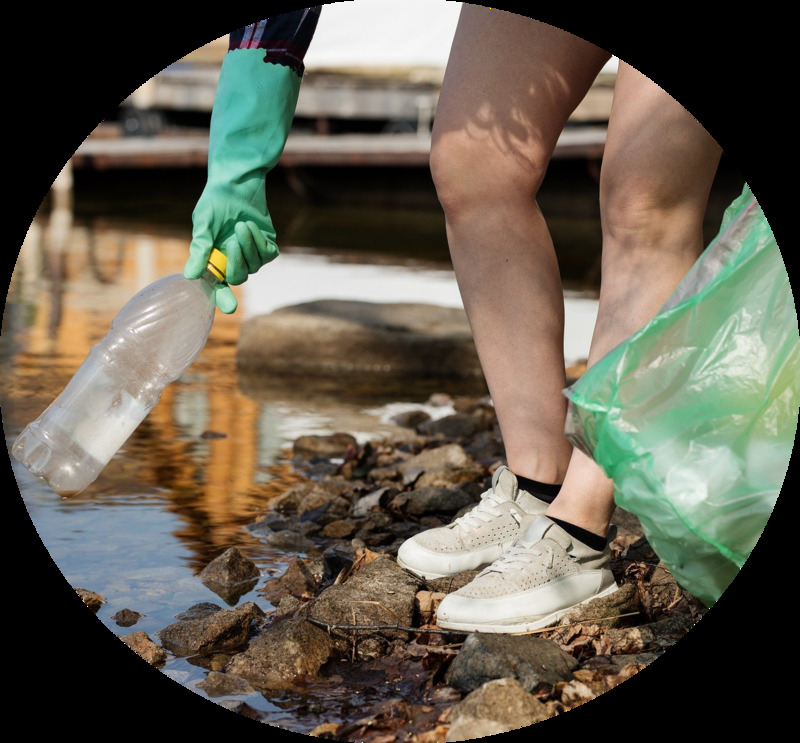 Initiate projects that gather people and specialize in the cleaning of beaches and rivers. There are impressive experiences from people who show that parched and exploited land can be regenerated and renaturalized. They may recover in such a way that positive climatic changes can happen and the country becomes fertile again. Initiate projects in which you work for the healing and renaturalisation of parched and exploited land and return it to their original equilibrium. Cities are also polluted by careless people. Organize one or more groups, thaCities are also polluted by careless people. Organize one or more groups, that specialize in cleaning up local urban areas. Promote developments that inform on how we can interact with nature in a mindful way.t specialize in cleaning up local urban areas. Promote developments that inform on how we can interact with nature in a mindful way. In many of the world's forests, people throw away their garbage. Organize groups which specialize in regular clean-ups of local forests and make sure that your experiences are accessible to the public in order to create greater awareness in our society. The greatest healer is nature. Everyone probaly knows the harmonious feeling that comes from spending some time in nature. It is expected, that in the next few years 2/3 of mankind will live in large cities. Therefore, it will be of great importance that cities turn into oases that invite the power of nature. Set up projects that create green and aesthetic city oases. In order to feel connected with nature and to develop an attentive relationship, a change of consciousness is of fundamental importance. Only when man realizes that his actions have an effect on the world, simply because he is part of it, he can find his own responsibility and correct his behaviour. Start projects that create awareness of the direct relationship between man and nature.